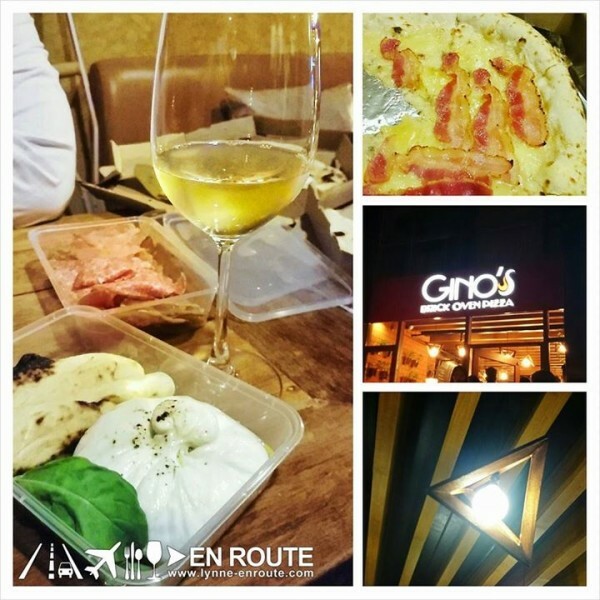 Is Gino’s Pizza in Makati Worth the Visit? If it is starting to sound like a hard sell (this is, after all, the second set of raves about Gino’s Pizza. First was for their very first store back in 2012), then we seek forgiveness. But feel sorry for yourselves also if you have not tasted their pizza yet. This is practically as close as it can get to the old style recipes. One bite, and it’s like returning to that Italian Food Trip. What Gino’s Pizza does is that the pizza is made from scratch, meaning you get the dough as fresh as possible, and the ingredients as fresh as possible. How fresh? They make their own “kesong puti” which is used in a lot of their pizzas. Remember, though, their pizzas take a relatively longer time than your usual chain. Works of art is never rushed, after all. But they do each order well, and they cook it properly, too! All in a blazing, brick fire oven that toasts the bun and gives distinct charred edges within minutes. This is the kind of crust that you will want to eat. As a matter of fact, you may want to save it for a side order of Burrata. 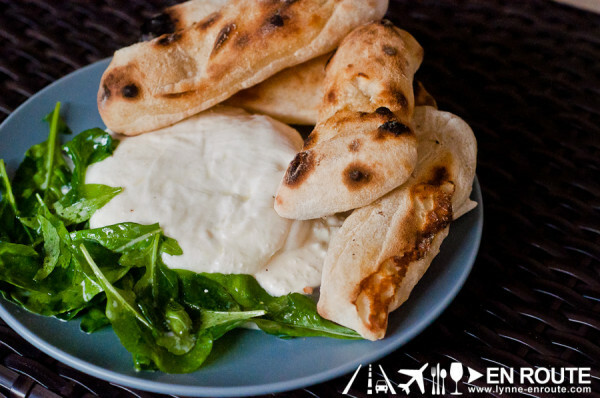 Burrata is basically mozzarella cheese, but it hides a creamy center, mostly made of molten buffalo mozzarella and cream. Tasting Gino’s Pizza’s version, there seems to be hint of “kesong puti” in it, too. This burrata is one of Manila’s delicious secrets, rarely gazed at when browsing their menu, but truly rewarding for those who get it. It goes well for take-out, too! Especially if you can grab a couple of bottles of wine and share it with friends for a nice Friday to end the week in the bustling metropolis. Don’t take our word for it. take the long lines that keep on growing from Gino’s Pizza Makati branch. It’s a quaint little store, but the droves of people coming for repeat orders and pick-ups show they might have made the right move here. 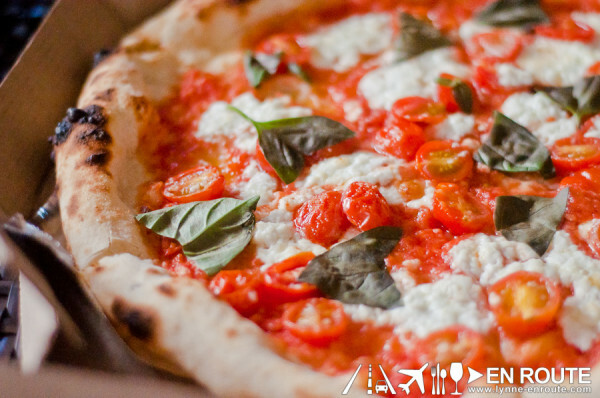 Here’s to more people discovering one of the best and authentic tasting pizzas in Manila! Gino’s Pizza Makati is located at Bautista and Tordersillas St., Salcedo Village.